Do you love lazy Sunday’s with good mates and a cold drink? Your favorite sport and a quiet beer after work at the local? Delicious food and a relaxed atmosphere? Then you’ll love Robbie’s Riccarton! And you’ll love this. 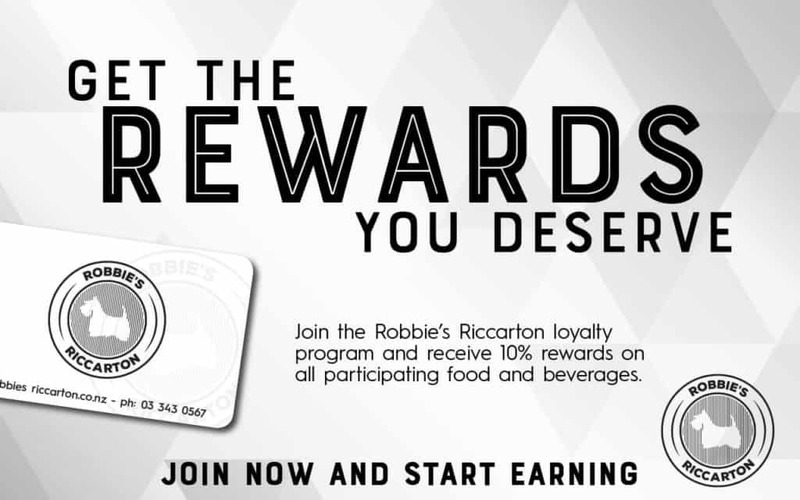 Become a Robbie’s Riccarton regular and enjoy the fruits of your loyalty with our new loyalty scheme. Receive 10% rewards on all eligible food and beverage purchases. What a steal! © 2018 Robbie's Riccarton. All rights reserved.